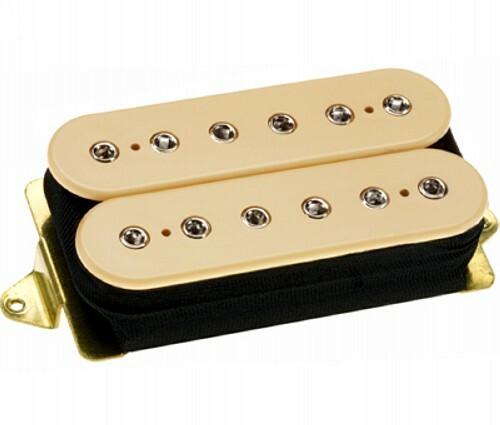 The DiMarzio® DP227 Liquifire™ Neck Pickup. One thing has stayed consistent throughout John Petrucci's long and successful career: the DiMarzio pickups in his guitars. John has been pushing the envelope of progressive metal since the late eighties, and the DiMarzio LiquiFire Neck Model resulted from DiMarzio'smost recent collaboration with John. He used it throughout Dream Theater's tenth studio album, "Black Clouds & Silver Linings". John swears this is the best live and studio sound he has ever had. He wanted a neck pickup with a flowing, singing solo tone when used with a heavily overdriven amp and a clear chord sound with a clean amp setting.